Hotel Poseidon is a cozy family run and new renovated hotel in Rethymnon, which is open throughout the year. It is situated directly on the beach promenade of Rethymnon with its sandy beach and offers accommodation with a breathtaking panoramic view on Rethymnon from the Venetian town castle Fortezza, the small Venetian harbor and the Old Town of Rethymnon to the beautiful horizon. Where the blue skies meet the Mediterranean Sea of Rethymnon bay. Hotel Poseidon provides 9 spacious renovated and modern furnished hotel rooms a few steps from the beach and the beautiful city of Rethymnon. Three double rooms with double beds, three rooms with double beds and single bed and three rooms with 2 double beds are available. Each room is equipped with bathroom/shower, balcony with sea view, central heating, air conditioning, double glazed windows, refrigerator, TV and phone. The Poseidon hotel is 1 minute walk from the beach. 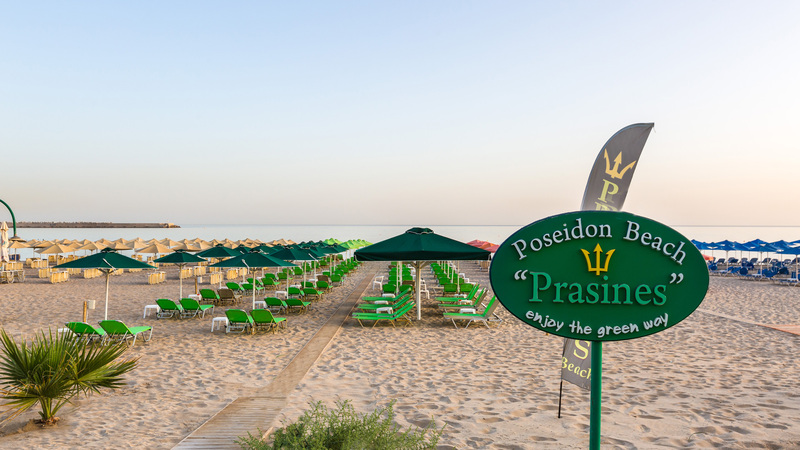 Hotel Poseidon is situated right across Rethymnon’s sandy beach. It offers a large patio with views of the sea, soundproofed rooms and free Wi-Fi. The Poseidon provides spacious, renovated rooms with private bathrooms. Most rooms have a private balcony with sea view. Each room is air conditioned and has a refrigerator and TV. The snack-bar is open throughout the day, serving Continental breakfast, and a selection of Greek and International specialties. To make your stay the most enjoyable as possible, we have put at your disposal various facilities. 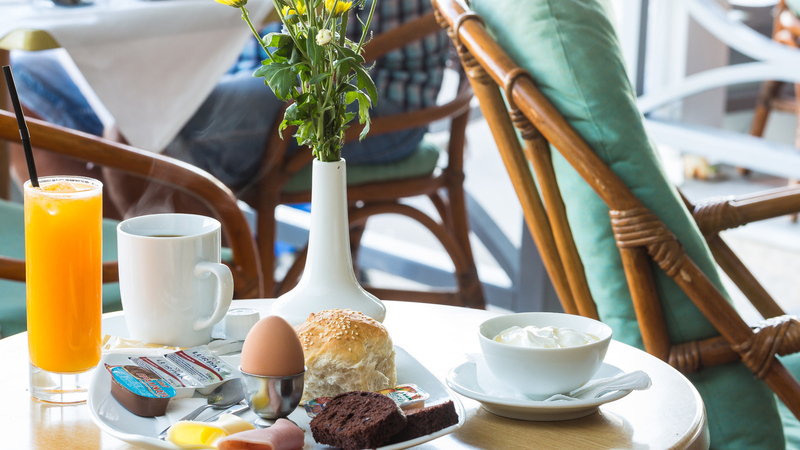 The Snack bar of Hotel Poseidon offers a selection of very good Greek and small international specialties as well as Continental and English Breakfast. At daytime the large shady terrace in front of the building offers a beautiful sea view and protection from the sun. Facilities that keep you active! 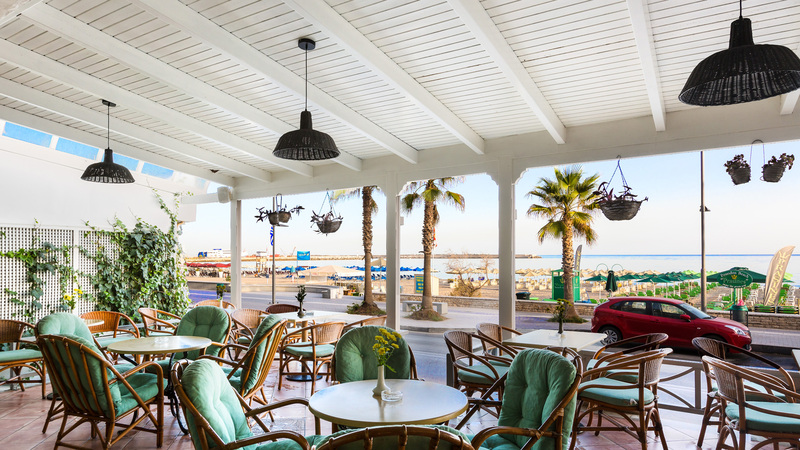 The Snack bar of Hotel Poseidon offers a selection of very good Greek and small international specialties as well as Continental and English Breakfast.